What are Senior Blood Screens? Just as we are recommended to have annual blood testing once we reach a certain age, so should our pets. Like in humans, as our pets age, they become increasingly at risk of various illnesses. It is especially important for our pets as they cannot tell us when they are feeling unwell. That is why annual blood testing, especially for senior pets is invaluable. It can alert us to subtle changes that we aren't able to see in the body. Oftentimes things that would otherwise be unaware of, until it is much worse, and sometimes, too late. A senior blood test gives us a wealth of information about what is going on inside your pet’s body. Along with a physical exam, senior blood testing gives us a good complete overview of their health. Looking at their blood cells gives us clues about possible infections or anemia. Anemia is a condition where the blood doesn't have enough healthy red blood cells. We can also learn about your pet’s kidney and liver function. Kidney disease is quite common in animals as they get older, especially in cats. An analysis of their urine completes our picture of kidney health. Using urine we can screen for urinary tract infections, stones and evidence of bladder tumors. We can also screen for low or high levels of thyroid hormone and other common endocrine diseases. These include diabetes and Cushing's disease. It can also give us clues about some types of cancer, that can affect different values we measure in the blood. 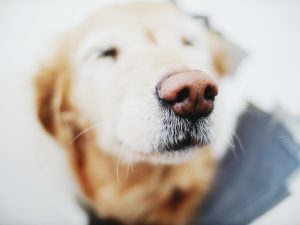 Senior blood screening is a simple and effective way of monitoring the health of your older pet. Early detection and treatment of any medical problems help us ensure that your pet lives a happy and healthy life, for as long as possible. If you have any other further questions about why we screen senior pets blood, please let us know!